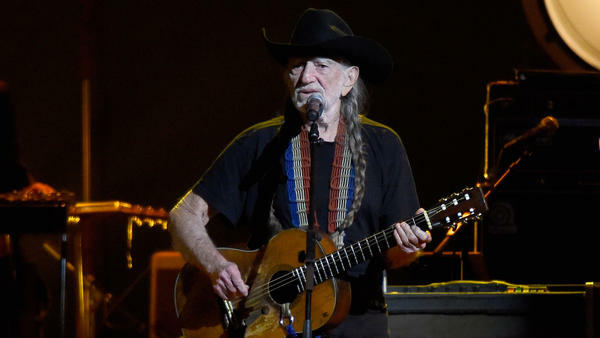 Willie Nelson sings about outliving friends, surviving death hoaxes and more on his latest album, Last Man Standing. If you think of Willie Nelson as a lot of people do, you might make the same mistake I did on the way up the stairs of his tour bus, Honeysuckle Rose. I imagined we were going to visit a mythical creature or an immortal shaman; in reality, it was better than that. We were greeted by a warm 85-year-old who had just woken from a pre-show nap and was drinking a cup of coffee at his version of a kitchen table — a narrow booth in the front of the bus, with photos of friends and family, including his great-grandchildren, hanging on the wall behind him. Thinking about the volume and importance of the music this man has made is overwhelming to anyone other than Willie himself. In the past decade alone, he has released more than a dozen records, including an album of Gershwin covers; a collaboration with his sons, Lukas and Micah Nelson; and a few albums with new originals, including his latest, Last Man Standing, co-written with Buddy Cannon. The album title means what you think it means. Willie sings about the realities of being his age and watching some of his friends die. On the album's title track, he shouts out friends who lived what he calls the fast life, mentioning Norro Wilson, Merle Haggard, Waylon Jennings and Ray Price. "It took its toll on some of us, and some of us made it through and some of us didn't," Willie says. "I still wonder, 'Why me? Why am I still here?' ... But for some reason, I'm still here. I'm thankful for that." Willie has survived a lot, including pneumonia, a collapsed lung, even death hoaxes. The song "Something You Get Through" speaks to the resilience that comes with age. "I was a big friend of a Baptist minister out there in Austin, Texas. He wrote a book and I did an audio version of his book," Willie says. "And one of the things I felt stayed with me was ... we were playing golf one day and he was talking about divorce and death, and he said, 'There's some things that you won't get over, but you will get through it.' So I ripped him off, and I wrote a song." Listening to him contemplate the other side, you get the sense Willie approaches the topic like he does most things: with simplicity, love and humor. Hear more of our conversation at the audio link. Web editor Sidney Madden and web intern Emily Abshire contributed to this story.